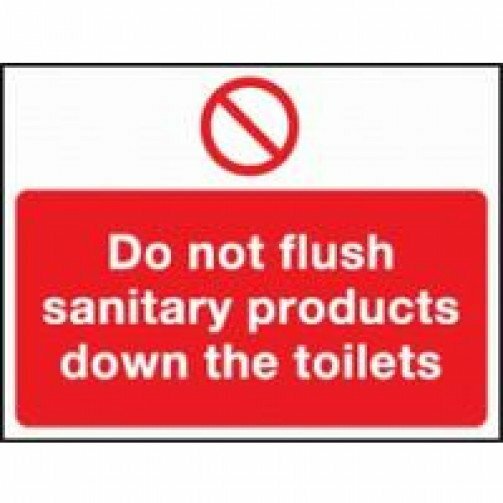 Prohibition safety sign with self adhesive backing. 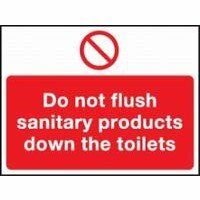 Warning message on sign reads 'Do not flush sanitary products down the toilets'. The sign measures 150 x 200mm.